July 14th is the french national day. 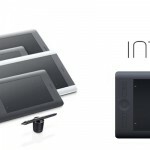 But this year its’ also the opening of Wacom Expérience Center by Wacom America at 1455 NW Irving St., in Portland. You want to be very hype before entire world ? Look Facebook’s page of this event and don’t forget to like the page dedicated to the place. More informations? Read this. Or that.